Dr. Lynn Kahle is excited to join the Department of Marketing at Pace University as Sports Marketing Program Director, Visiting Scholar, and Professor. He teaches various classes in sports marketing. He comes from the University of Oregon, where he was Founding Director of the James Warsaw Sports Marketing Center. For advancing this new direction, Lynn received the Stotlar Award for lifetime contributions to education in sports business from the Sport Marketing Association. He also received the Distinguished Career Contributions to the Scientific Understanding of Sports Business from American Marketing Association Sports SIG. Kahle’s research explores the importance of values, attitudes, and lifestyles among fans and consumers. Marketing communications, sustainability, religion, and cross-cultural issues are among the topics his research has addressed. In October 2018, he presented papers at the Association for Consumer Research and at the Sport Marketing Association. 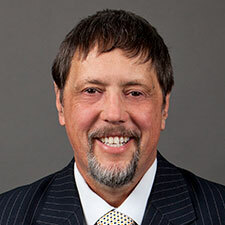 He has served as President of the Society for Consumer Psychology, as Chair of the Sports and Special Events Special Interest Group in the American Marketing Association, and as a member of the American Psychological Association Council Representatives. He was previously Editor of Sport Marketing Quarterly. He has been an ad hoc reviewer for more than 25 publications. On his volunteer work, he has advocated for human rights. Lee, C., Kahle, L. R. (2016). The Linguistics of Social Media: Communication of Emotions and Values in Sport. Sport Marketing Quarterly. 25(4), 139-151. Minton, E., Cornwell, B., Kahle, L. R. (2017). A Theoretical Review of Consumer Priming: Prospective Theory, Retrospective Theory, and the Affective-Behavioral-Cognitive Model. Journal of Consumer Behavior. 16(4), 309-321. Suh, W. S., Kahle, L. R. (2018). Social Values in Consumer Psychology: Key Determinants of Consumer Behavior. In Michael Solomon & Tina Lowrey (Ed. ), The Routledge Companion to Consumer Behavior. (pp. 165-174). New York: Routledge. Aiken, K., Sukhdial, A., Kahle, L. R., Downing, J. A. (2015). Linking Fan Values and Sponsorship Effectiveness: The Case of Old School Values. Sport Marketing Quarterly. 24(1), 56-66. Gurel-Atay, E., Kahle, L. R., Minton, E. A. (2017). Sustainability and Consumer Psychology. In Jansson-Boyd, Cathrine & Zawisza, Magdalena (Ed. ), Routledge International Handbook of Consumer Psychology. (pp. 505-523). New York: Routledge. Minton, E., Kahle, L. R. (2017). Religion and Consumer Behavior. Routledge International Handbook of Consumer Psychology. (pp. 292-311). New York: Routledge. Minton, E., Kahle, L. R., Kim, C. H. (2015). Religion and Motives for Sustainable Behaviors: A Cross-Cultural Comparison and Contrast. Journal of Business Research. 68(9), 1937-1944. Wang, X., Sagara, N., Kahle, L. R. (2016). You Look Marvelous: The World of Flattery in Marketing In Kacy Kim, Ed. (Ed. ), (pp. 809-814). Cham: Springer. Conference Proceeding. Kahle, L. R., Gurel-Atay, E. (2014). Communicating Sustainablity for the Green Economy (pp. 320). Armonk, NY: M. E. Sharpe. Lee, C., Kahle, L. R. (2016). Pronouns and Pro Sports: The Linguistics Behind Social Media Marketing In Michael W. Obal, Nina Krey, & Christian Bushardt, Eds. (Ed. ), (pp. 467-468). New York: Springer. Conference Proceeding. Minton, E., Kahle, L. R. (2014). Belief Systems, Religion, and Behavioral Economics: Marketing in Multicultural Environments (pp. 160). New York, NY: Business Expert Press. Stockard, J., Carpenter, G., Kahle, L. R. (2014). Continuity and Change in Values in Midlife: Testing the Age Stability Hypothesis. Experimental Aging Research. 401-21. Xie, G., Kahle, L. R. (2014). Approach or avoid? The effect of regulatory focus on consumer behavioral responses to personal selling attempts. Journal of Personal Selling & Sales Management. 34(4), 260-271. Kahle, L. R., Valette-Florence, P. (2012). Marketplace Lifesytles in an Age of Social Media: Theory and Method (pp. 320). Armonk, NY: M. E. Sharpe.